After some time on the market, which can be considered one of the most successful models of the current range of Alfa Romeo, it appears on the scene its most aggressive version bailing brand Quadrifoglio Verde , formerly used by the manufacturer to distinguish versions more benefits and services of each of its models. 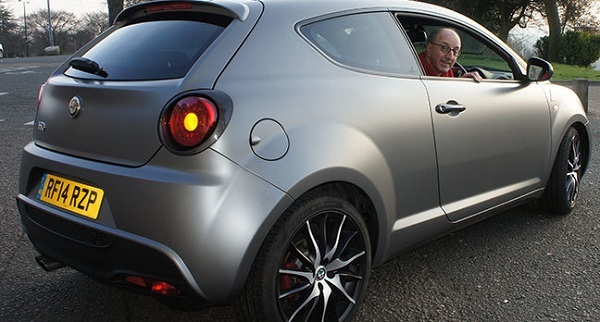 Intending to make it stand out, the Italian manufacturer has given the Mito with the most innovative dynamic level solutions, emphasizing some already outstanding road and touring capabilities with systems such as the SDC (Synaptic Damping Control) suspension system activ to maintaining a continuous control over some new specific electronic dampers, allowing the Alfa Mito Quadrifoglio own light shine in terms of agility and handling, reaching a level of safety and driveability unprecedented in an Alfa. This new suspension system has three modes, normal, all weather, and dynamic, which work in conjunction with stability control, which well coordinated same systems such as power steering, the Vehicle Dynamic Control (VDC), electronic differential Q2 or engine electronics. And is that security is an integral part of Mito, with a Euro NCAP five – star rating , the Quadrifoglio has seven airbags , vehicle dynamic control, ABS, ASR, EBD, Brake Assist, Hill Holder, and a long list of gadgets designed for the safety of its occupants. The engine used in this special version is 170cv 1.4 TB MultiAir known, thanks to this new technology obtains outstanding performance achieving a combined consumption of gasoline adjustable only 5,9l / 100km and CO2 emissions of 139g per kilometer , certainly a prodigy of efficiency, not in vain is a mechanical low rightsizing able to offer 250nm of torque at 2500rpm, no small numbers for a 1.4 liter petrol engine. Effective manual 6 speed does the rest, achieving an acceleration from 0 to 100km / h in just over 7 seconds, which puts the Alfa Mito with its 1145 kilos undisputed leader in its class with a power to weight ratio of only 6,7Kg / cv. Rescued from oblivion, the Alfa Romeo models employing the brand Quadrifoglio Verde have displayed the best performance in its class and finishes first level, which shows nothing but sit behind the wheel for the visual quality of the whole. 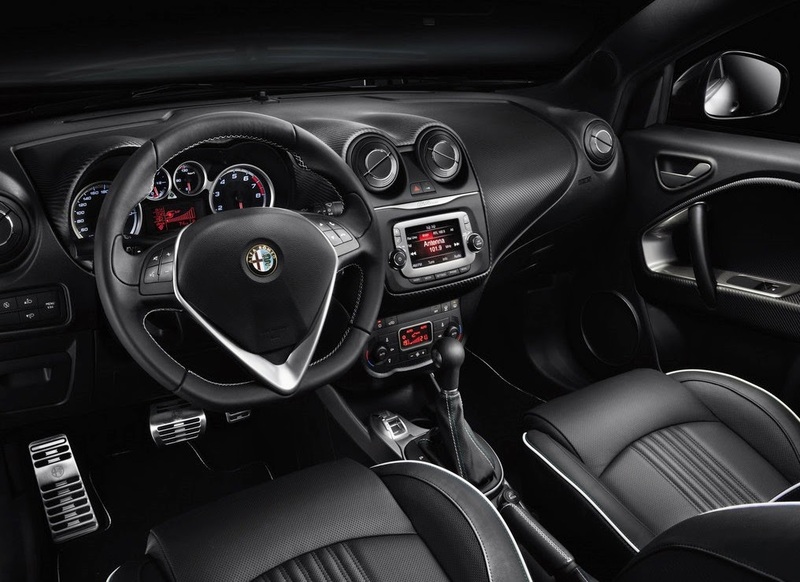 Within this version, a new bucket seats upholstered in Alcantara-leather with the logo stamped Alfa back, made of a lighter material is characterized among other things that conventional, separated by a central column clad in alcantara black to match the rest of the interior, where this color predominates intercalates with red or green (to choose) which can be chosen for seams seats, steering wheel, gear knob and hand brake. Also, dashboard and door panels are dressed for the occasion with details in carbon fiber. Aesthetically has not left any detail to chance. The fins looks a molding aluminum shaped embossed triangle having the characteristic green four – leaf clover that identifies Quadrifoglio followed more telltale trait of a new invoice wheels shod with 18 – inch tires 215. Defense redesigned addition to hosting the usual fog this time slightly darkened, some shots oversized air and moldings under the shield of Alfa, type spoiler, which lower the ride height of the set giving greater feeling of spaciousness to the entire front. No doubt a wink of inspiration in the Alfa 8C Competizione, which contributes to improving the aerodynamic coefficient of the vehicle. The mirrors are a new pearlescent finish with matching door handles, headlights and tail lights, which give a touch of exclusivity accentuating its sporty side. They have also been taken into account details such as the brake calipers in red, a rear defense in this version incorporates a diffuser and a sporty spoiler and a chrome exhaust tail. The Quadrifoglio Myth comes with a first class equipment such as stereo with USB and AUX-IN enabling connection of MP3 players to Blue & Me ™ Alpha system, free Bluetooth hands system, cruise control, sports pedals, spheres with white background, parking sensors, trip computer and a long list of options to the level of a whole Quadrifoglio Verde. It will be available for about 20,500 euros approximately, apart from the endless list of options, and although its presentation is scheduled during the festival of speed Goodwood, its official launch will not take place until the end of July. 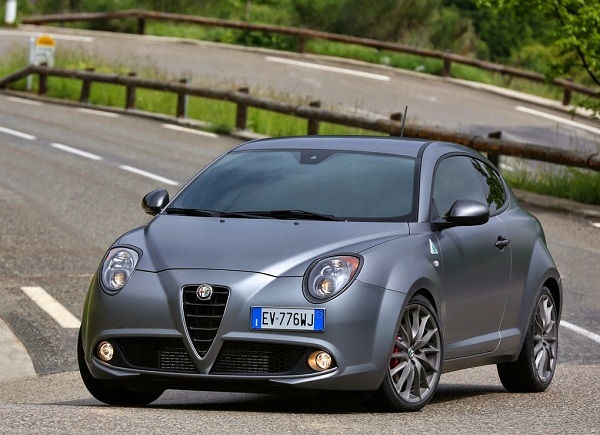 In short, the Mito Quadrifoglio Verde is a true Alfa Romeo, a car high-tech maintains its position as one of the sport compact market today getting face them perfectly renowned German models.